The DC12i is designed to be used in left, centre or right locations where true audiophile performance is demanded with exceptional impact in movie and home theatre environments. 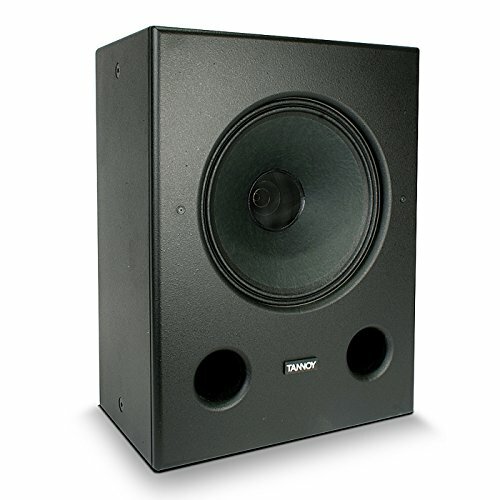 At 97 dB (1 W=2.83 V for 8 Ohms) this speaker is exceptionally sensitive and therefore capable of very high output levels, explosive dynamics and stunning detail in a vast array of larger scale listening and viewing environments. Built around the unique high sensitivity Tannoy Dual Concentric drive unit, the Definition Install range brings class leading accuracy, detail and dynamics to installation applications ranging from media rooms to home theatre and boardrooms through to high end marine interiors. The robust MDF cabinet is vented and rigidly constructed with extensive bracing to be acoustically inert. The speaker is designed to be hidden within a custom designed installation; mounted on-wall either behind the screen or acoustically transparent decorative panels with no appreciable loss of performance. The unit can be mounted either horizontally or vertically using the integral keyhole mounts and the supplied wall plate.